“The Tekla models at Unger start in the sales department,” says Quality Manager and Welding Coordinator Erich Fladerer, who also leads the Tekla development team. 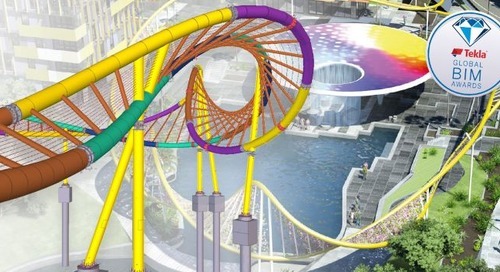 With the erection concept, they can show potential clients exactly what they can expect, demonstrating the trustworthiness and reliability required to win bids. 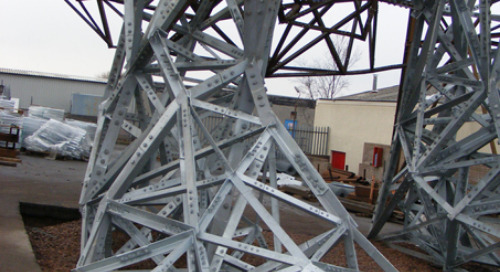 From this rough model and existing projects, they get data for new calculations and projects, and the model can be handed over to the steel design department. Unger’s steel design department relies on Tekla Structures to create accurate models that benefit the processes throughout the workflow. Unger does much more than create drawings and models, and every model must be workable in order to avoid problems later down the line - they erect the structures as well. Static analysts can collaborate with designers, providing solutions for potentially problematic connections. 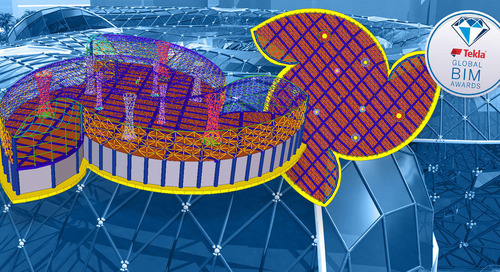 Using Tekla’s clash detection, designers can pinpoint and correct clashes and potential errors already during the planning phase, avoiding costly production phase and on-site fixes. In addition to solving problems before they actually manifest, the designers can easily collaborate on a single model. When planning time is limited, Unger’s designers use multiuser to work together flexibly and efficiently in order to quickly create an accurate, constructible model. In fact, the vast majority of Unger’s projects are created with multiuser, saving precious time. Production at Unger is fully optimized. No information goes to waste. Using the Tekla model, they create production drawings, IFC data for the tube cutting machine, CNC data for sampling, welding, surfacing, cutting machines, and more. Using the model, the design department creates a schedule for loading lists and keeps everything flowing smoothly. When production is buzzing with more than 40 simultaneous projects, delivering every part on time is crucial. To ensure optimal efficiency, Unger has installed Tekla stations in the production hall for viewing the model in detail. Teams can access the information-rich model right in the production, resolving assembly issues quickly. Unger’s Tekla stations are also highly motivating for production workers, letting them see the big picture rather than just one assembly part. When a project gets to the erection phase, organization and information flow become even more hectic. Unger uses Tekla Structures and complementary programs to keep a general structure in the process, beginning with simulation. They plan delivery using simulations, loading heavy and complex parts nearly into the trucks. Everything arrives on site efficiently and on time. Even Unger’s on-site crane usage is readied beforehand. Simulation allows them to plan the placement, optimal loading capacities, and distances for loads. As the erection phase proceeds, Unger’s foremen have constant access to the model. Using Tekla, the foreman can not only compare the actual structures with the model, but access drawings and information lists when needed. Having the erection process and documents available through the model helps optimize the on-site process, saving time and money while avoiding headaches. For laser scanning, Unger uses Trimble Total Stations. On-site surveying data can be sent directly to the model, and post-erection measurements can compared to the actual site with the model. This data allows Unger’s professionals to see both the theoretical and the practical, as many tolerances must be considered during design, fabrication and erection phases. 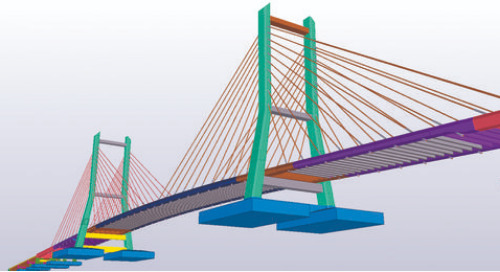 Unger uses Tekla Structures in every phase of a project, but they also complement Structures with add-ons, programs, and software solutions. Doing so lets them take the BIM workflow beyond the ordinary, achieving a level of optimization that is nothing short of marvelous. 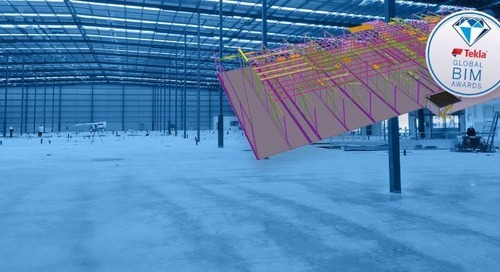 Tekla software and Trimble Total Station are mainstays during production, erection, and planning, and Tekla BIMsight is used in every possible department. Unger links the Tekla model to their ERP system, using the data to manage bills of materials, shipping information, schedules and more, greatly benefiting the down-the-line processes. 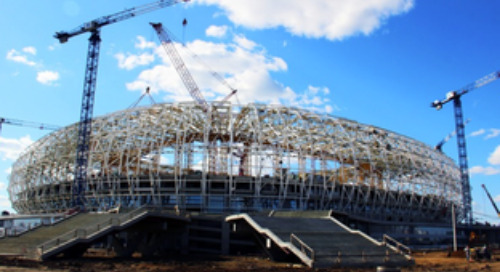 For Unger, the ability to incorporate Tekla Structures and Trimble solutions into every phase and process is the foundation for building a unified workflow that boosts productivity throughout the entire project. 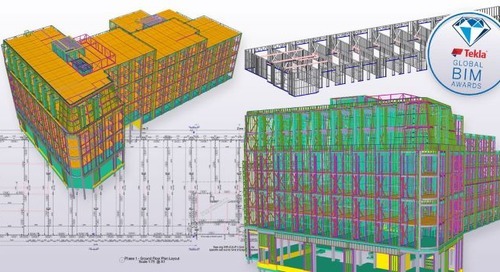 Customization plays an important role in Unger’s BIM workflow. Their Tekla development team investigates new versions to discover the most beneficial functions and teach them to the steel design department. To cut back on wasted data and materials, they also find the best parameters for connections and functions. This not only fine tunes Unger’s procedures and uncovers new solutions for their problems, but it also allows production to save time and money. When Unger’s Tekla development team comes up with a function that would benefit them, they contact Tekla to request that it be added in the next version. “Many of requests we have imposed on the software system have been promptly implemented in the new versions of Tekla,” Bernd Mühl, Head of Division Steel, says. 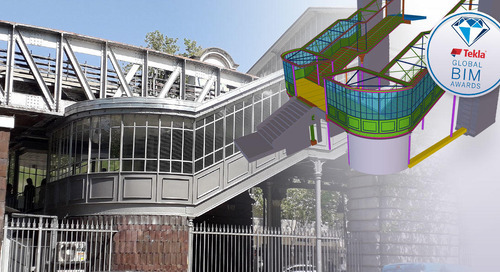 The Unger Steel Group has found in Tekla Structures a reliable companion that fully supports their processes throughout the workflow. By expanding its use from design to all phases and departments, Unger has comfortably implemented a BIM workflow, optimizing fully and realizing benefits such as cutting costs, working more efficiently and quickly, improving communication and information flow, and automating processes.